What is the GSM of this paper? 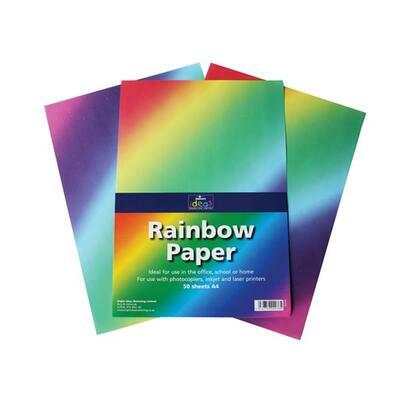 A bright and bold addition to your Arts and Crafts cupboard, this A4 Rainbow Paper Pack is an economical choice. Packaged in groups of 50 - perfect for busy nurseries, schools or offices - these vibrant paper sheets feature a slanted multicolour design that blends gently to create a rainbow pattern. Suitable for everything from cutting and glueing through to use with pens and inks, these sheets fit easily into most standard laser and inkjet printers. A vibrant alternative to standard block colour paper, this large paper pack promises to excited everyone while adding a splash of bold colour to your project. We also stock these colourful rainbow sheets in a card format and a crepe paper design to suit all your crafting needs.